What makes people succeed? Why do some people succeed, while others struggle despite working hard? 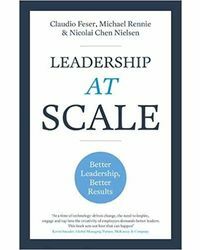 This book is based on the insight that success is not about how good you are but how powerful a model you have to improve how good you are. 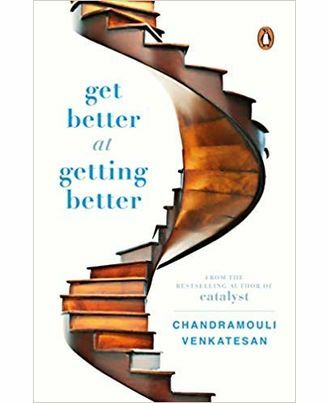 Chandramouli Venkatesan calls it the get-better model, or gbm. Successful people are those who are able to build a powerful gbm to continuously improve themselves, and this book will show you how to do it. A gbm is made up of four key components and these must be practised deliberately for getting better-getting better by yourself; getting better by leveraging others; making others get better; and making and implementing a get-better plan. This powerful and life-changing book thus shows how you can constantly get better to unlock your potential at work and in life. Chandramouli Venkatesan is a corporate veteran with over twenty-eight years of experience in the industry. He has worked with Asian Paints, Cadbury/Mondelez, Mirc Electronics/Onida and Pidilite. He has served in various senior capacities, including as CEO and managing director. While the bulk of his work life has been in business and P&L leadership roles, there was a three-year period when he did a cross-functional stint as HR head for Cadbury India which further developed his understanding of what makes people successful. Chandramouli is a keen golfer and sports enthusiast, and believes in holding his life in balance. This, coupled with his sense of values and spirituality, has led him to believe that every person must impact society positively. His personal mission is to help people succeed and he has conducted numerous speaking sessions in many organizations and mentored and guided several people to be successful in their careers. His first book, Catalyst, a bestseller, was a part of his mission to help people succeed. What makes people succeed? Why do some people succeed, while others struggle despite working hard? This book is based on the insight that success is not about how good you are but how powerful a model you have to improve how good you are. Chandramouli Venkatesan calls it the get-better model, or gbm. Successful people are those who are able to build a powerful gbm to continuously improve themselves, and this book will show you how to do it. A gbm is made up of four key components and these must be practised deliberately for getting better-getting better by yourself; getting better by leveraging others; making others get better; and making and implementing a get-better plan. 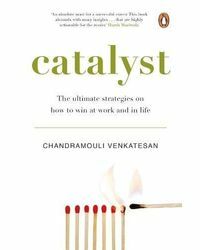 This powerful and life-changing book thus shows how you can constantly get better to unlock your potential at work and in life.About the Author Chandramouli Venkatesan is a corporate veteran with over twenty-eight years of experience in the industry. He has worked with Asian Paints, Cadbury/Mondelez, Mirc Electronics/Onida and Pidilite. He has served in various senior capacities, including as CEO and managing director. While the bulk of his work life has been in business and P&L leadership roles, there was a three-year period when he did a cross-functional stint as HR head for Cadbury India which further developed his understanding of what makes people successful. Chandramouli is a keen golfer and sports enthusiast, and believes in holding his life in balance. This, coupled with his sense of values and spirituality, has led him to believe that every person must impact society positively. His personal mission is to help people succeed and he has conducted numerous speaking sessions in many organizations and mentored and guided several people to be successful in their careers. His first book, Catalyst, a bestseller, was a part of his mission to help people succeed.